Laboratory fume hoods serve to control exposure to toxic, offensive or flammable vapors, gases and aerosols. 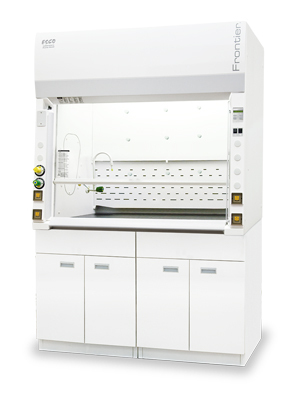 Fume hoods are the primary method of exposure control in the laboratory. The laboratory fume hood is a type of local exhaust ventilation system (engineering control). A typical fume hood is a cabinet with a moveable front sash (window) made out of safety glass. A properly used and properly functioning fume hood exhausts hazardous gases, dusts, mists, and vapors from a confined location and helps protect workers from inhalation exposure.